NASHVILLE - An investigation by Special Agents with the Tennessee Bureau of Investigation has resulted in the arrest of a Cannon County man for the July murder of his brother. At the request of 16th District Attorney General Jennings Jones, TBI Special Agents, with the assistance of the Tennessee Highway Patrol and the Cannon County Sheriff's Office, began investigating the July 10th death of 38-year-old Carl "Floyd" Young. During the course of the investigation, Agents developed information that on that day, Carl had been involved in a verbal and physical altercation with his brother Chad on Gunter Hollow Road in Woodbury. The investigation revealed that during that altercation, Chad fired a handgun at his brother while Carl was driving. The bullet struck Carl, killing him, and his vehicle wrecked in a field. 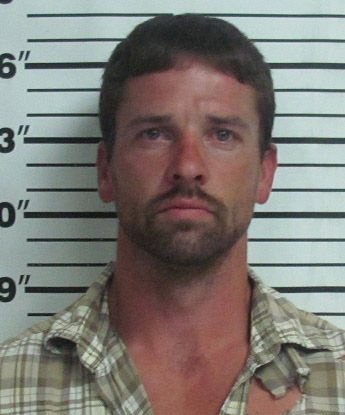 On Friday, the Cannon County Grand Jury returned indictments charging Chad Young, 32, with one count of Second Degree Murder and two counts of Tampering with Evidence. Young was arrested Friday afternoon and booked into the Cannon County Jail, where he is being held on a $250,000 bond.